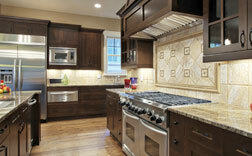 From your first house to your dream house, the kitchen is often one of the most important rooms in a home . 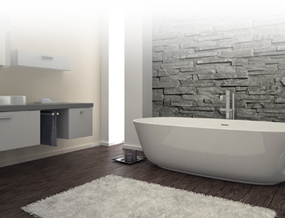 . .
You bathrooms are such a important part of your home and stricking the balance of functional and elegance can be challenging . . . Whether you're are looking to refresh the look of home with new siding, gain efficiency with new windows or explore outdoor kitchens for enhanced entertaining . 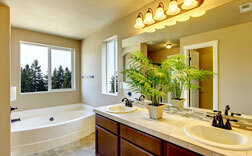 . .
At Home Remodels of Tulsa we put quality first - period. We listen closely to our customers and are prepared to offer a range of options to help fit any budget. Remodels of Tulsa did the remodeling work in my kitchen, we completely reworked our kitchen down to the sheetrock. 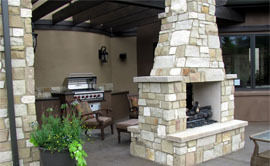 It was a big job and Home Remodels of Tulsa exceeded our expectations. We are so pleased with the final product. Contact us for a free, no obligation estimate. Visit our gallery for a sample of our work. © Copyright 2014 Remodels of Tulsa Co. Inc, All Rights Reserved.